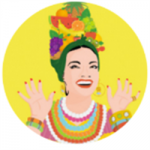 Springboard the vibrant Latin American cultural offer into East Street market, take Adelante Market/Plaza Latina up a level, positioning a weekly market, share training and entrepreneurial activity. This project was funded on 10 Aug 2015! 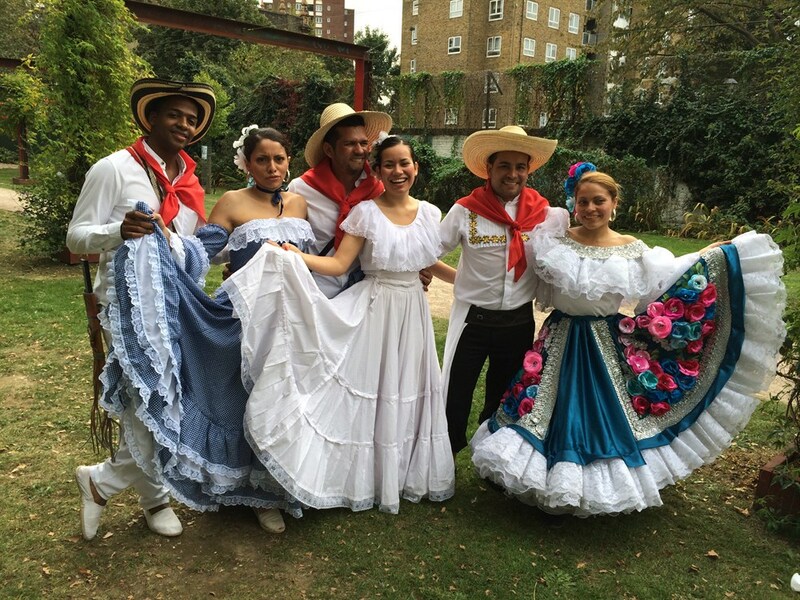 In 2007, our large scale Latin American carnival, had an economic impact of £4 million on the creative and retail industries in Southwark (City University). 'Adelante Advances' Market, will occupy Peabody disused East Street shop(s), currently being refurbished for creative activity and the surrounding area, building on our Nursery Row Park Christmas 'Plaza Latina'. 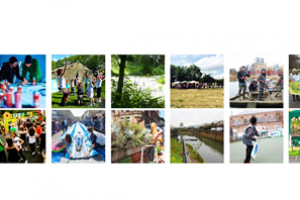 Specialist workshops in arts, crafts, dance, food preparation, entrepreneurship, language will happen there, our Unit 23 in The Arts Works, Walworth Road and disused shop in the Aylesbury Estate. 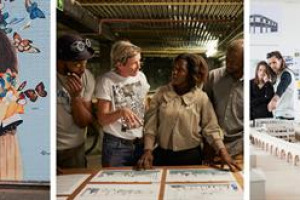 The workshops will teach making niche market goods, encouraging footfall of people with disposable incomes. 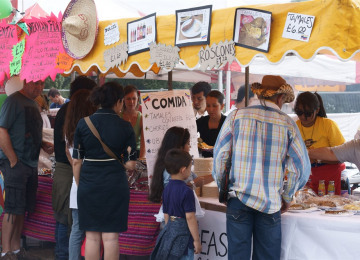 'Latin Quarter' Elephant and Castle's Latinos may move down the Walworth Road. East Street will complement its usual activity and ultimately become the new iconic Latin inspired merchandise shopping destination for London, with a19 country representation potential. The Latin American vibrant, flexible, multiuse-building entrepreneur activity model already takes place succesfully in Elephant and Castle. 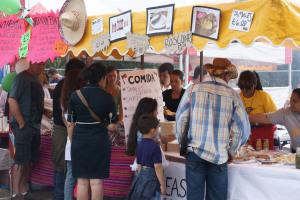 The Adelante Advances project will complement the Christmas Plaza Latina in East Street's Nursery Row Park and the Adelante bi-weekly market (funded by The Southwark High Street Challenge Round 1 and 2 respectively) and enable a more sustained presence of this community to take place and inspire a move away from the present market decline. The learning from Elepahnt and Castle will be applied in Walworth Road/East Street. All will be well managed and outward looking into the wider community and inclusive, achieved by welcoming, open access and signage, encouraging diverse communities to participate too. 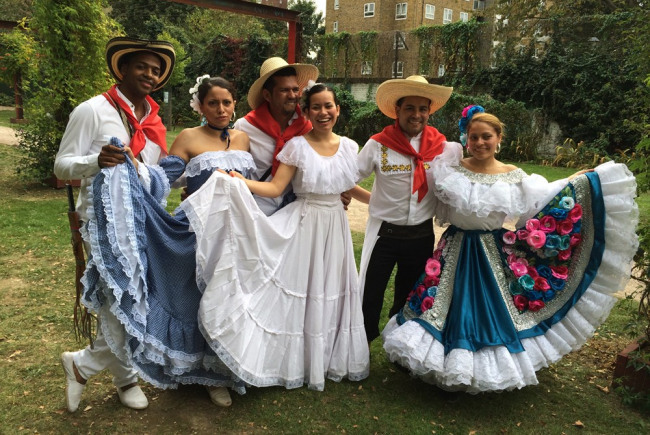 Potential for growth is involving all 19 Latin countries, where the population is the highest in London, Southwark and include "Adelante Advances" in Carnaval del Pueblo in Burgess Park, August 2015, to develop raining, experience and sales. The Adelante Advances project will complement the physical regeneration of the area undertaken by the Master Plan holders Lendlease, from Elephant and Castle northern roundabout right down to Burgess Park. The very fact that Lendlease, Delancey and Southwark Council support Carnaval del Pueblo with this work is because they 'get it' - carnival, which encompases music, dance, food, entrepreneurship, community groups and the creative cultural industries, complement transition. This has been proven in the past when Carnaval del Pueblo was the focal point of a £1.5 million, 15 partner ESF funded 'Celebrating Enterprise' project and the economic impact of festivals researched. Regeneration will trundle along and it is wise for the Latin American start ups to find a new home. The succesful Latino businessses will find their place reserved within new builds, as rent will be affordable. 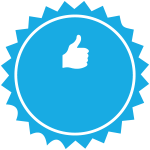 The newer, struggling, less developed businesses need guidance and opportunities and to feel welcome. 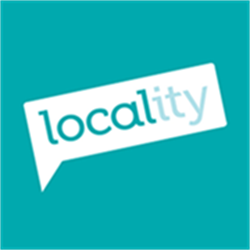 Contractors: Peabody Housing association,Southwark Council The team responsible for building or installing the project.